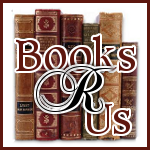 I would like to welcome Betsy Schow to Books R Us. She is the author of the book Finished Being Fat: An Accidental Adventure in Losing Weight and Learning How to Finish published by Cedar Fort (Jan 8, 2013). Thanks for stopping by. After many years of being fat and miserable, with a few years of being average and less miserable mixed in, I finally had a light bulb moment. The reason I was unhappy, was not just the extra 75 pounds of pudge I was carrying. It was the weight of all the things unfinished that hung around my neck. I was always having grand ideas. I'd get excited about this diet, or that workout routine. Or starting a new hobby or project. Problem was, within a few weeks the excitement would fade and that little voice would kick in. You know the one I'm talking about. "You're no good at this. You'll never keep the weight off. Why are you even bothering?" And every time I quit, my wall of failures would get a little higher -- making success that much harder to see. The straw that broke the camel's back, was actually the 10 pounds added in a month that broke the scale one morning. Drastic measures had to be taken, I couldn't keep doing this myself. What started out as yet another attempt to get rid of the weight around my middle, snowballed into a year of changing my life, my marriage and the way I raise my kids. Without meaning to I went on an accidental adventure, learning things that fixed the holes in my life, not just the holes in my eating habits. Now I know how to give myself credit for what I do, I can finish what I start, and I've reached impossible dreams. And once you've done the impossible, anything can happen. Buy the book wherever books are sold, or online at Amazon and Barnes and Noble. Daily routine: Wake up, feed kids, entertain kids, keep kids from killing each other, put kids to bed, put kids back to bed thirty minutes later, and then collapse into my own bed and fade into unconsciousness. My life was a lot like running on a treadmill, a whole lot of effort to get absolutely nowhere. Not that I had much experience with treadmills, mind you, but you get my drift. One morning, I woke up depressed and berated myself for all the things that I wasn’t. Wasn’t skinny, wasn’t accomplished, wasn’t happy. In a fit of masochism, I decided it would be a good time to take on my mortal enemy, the digital scale. The scale and I have always had a hate/more hate relationship. I’ve tried sweet talking it, I’ve tried yelling at it, and I’ve even tried approaching it with cautious optimism. Power of positive thinking and all. Recently, I had given it the silent treatment, refusing to acknowledge its existence. But apparently, I felt the need to punish myself, because there I was again, at seven in the morning, before the children were awake, naked and oh so- carefully avoiding the adjacent mirror (because let’s be honest, who wants to see themselves naked first thing in the morning?) and ever so lightly (because it might make a difference) stepping on the scale. While I waited for the scale to stop blinking 0.00 and pronounce judgment, I began to pray. “Please, God. Just let it be the same as last month. I’m not asking for it be lower, just . . . please, let it be the same.” God was apparently out of miracles. The scale read 216.4 pounds—ten pounds more than the last month. I looked around just to be sure my fourteen-month-old hadn’t sneaked up behind me, adding her sixteen pounds to the total. Nope, I was alone. So I hopped off and tried again, just in case. Maybe the scale had changed its mind, had a technical error, or something. But no, the evil scale seemed to take joy in my misery and now said 216.6. Ahhhh! I had gained a fifth of a pound in less than a minute. Scenes from my future played out in my mind. I would gain a pound every hour. Within a week, none of my clothes would fit. By the end of the month, I would have to order everything from an online specialty store, Blobbos. In a year, my husband would need to physically roll me out of the bed and onto a Jazzy scooter because I had gotten so big that my legs wouldn’t support my girth. I was going to be like that woman from What’s Eating Gilbert Grape. When I died, they would have to cut a hole in my house just to get me out. Then I’d have to be buried in a packing crate because surely no one would make a coffin large enough to fit me. I back pedaled off the scale so fast that I tripped. That’s when I heard the thud of my life hitting rock bottom. It was so loud it even woke my husband, Jarom. Well, it was either that or the crash from the scale reverberating off the travertine. I imagine he ran into the bathroom, expecting to find that I had slipped in the shower. He probably did not expect to see his naked, overweight wife sprawled on the floor, trying to beat the scale into submission. My husband, always a man of few words, wisely said nothing and offered me a hand up. For a few minutes, we stood there, him patting my back and me sobbing onto his shoulder. After I had quieted down some, Jarom grabbed a pack of tissues and herded me back into the bedroom. He sat me down on the bed and wiped the tears and snot off my face, then did the same for his shoulder. Finished being Fat is available at Amazon, Barnes and Noble, Deseret Book and Seagull Books. Not everyone can win the race, but everyone can finish it. In her quest to wish away an extra 75 pounds, Betsy changed her life for good. Using her Philosophy of Finishing, she snowballed her efforts from weight loss into a bucket list of seemingly impossible dreams. This inspiring account of one woman's journey will help you find the strength to conquer your most daunting goals and unfinished projects. After many years of unhappiness and being unpleasantly plump, Betsy Schow found her way to weight loss success and a better life through the Philosophy of Finishing. She shares it all in her first book, Finished being Fat – available January 2013 from Cedar Fort Inc. Her adventure inspired her certify in yoga and fitness so she could help others achieve their goals. You can find her running around the mountains of Utah, chained to her laptop, or wrangling two small children. I know exactly what she means about that lil voice in the back of your head saying that you are worthless and fat!! Unfortunately I feel that way alot about myself. I am prescribed prednisone and have gained over 85 pounds in 2 1/2 years!!! Having ventured into the classification of a "senior citizen", I find that I can no longer take the weight off like I once did. My metabolism has changed and my incentives have changed, as well. While I wouldn't consider myself obese, I do have quite a bit of weight to take off to feel human again. This book sounds like it is just the right incentive that I need in order to do that. This sounds like a great book for giving you back the confidence an impetus you need to get something done. I would love to read this book. I am finished being fat!